Robotics and Artificial Intelligence Foundation (RAIF), a Chennai based NGO is silently encouraging the innovators at national level since 2013. RAIF founded by Kris Kumar and Sukruti Vadula last year has been organising competitons among the school children across the country on 'robotic themes'. Within few weeks of their founding, the founders were able to rope in Indian Institute of Technology (Madras), Anna University and US Embassy as their partners to conduct the competition and talks, besides many experts as their advisors. Sukruti Vadula, President of RAIF says, "School children have more innovative skills than the senior level students. Even IIT Professors were amazed by their talents. They need hand holding to bring out their talents". That was why RAIF started targeting the school children and organised competition to showcase their innovation in 'robots' in 2013. Around 5000 school children witnessed the grand finale held at IIT Madras. From this year, they have started the series of seminars titled 'RAIF TALKS' by inviting eminent speakers on various aspects of innovation. They are inviting the students from schools and colleges who want to innovate to interact with these experts. 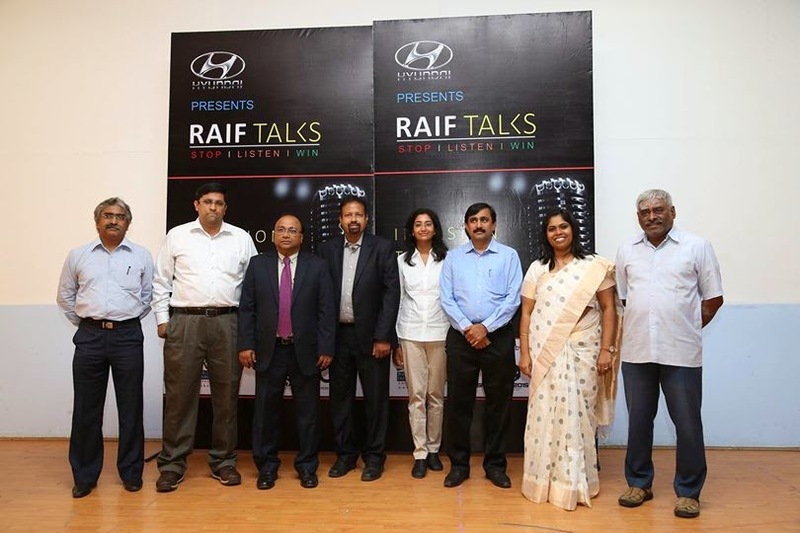 On 5th July 2014, RAIF TALK was held at IIT Madras on the theme 'Invasion through Innovation'. Many experts, including innovators talked on various aspects of innovation. We are sharing two videos for the benefit of youngsters. For more details contact president@robotzindia.com.